To create selfie is now very fashionable. And it is not rare to meet people with sticks, trying to make the best group photo. 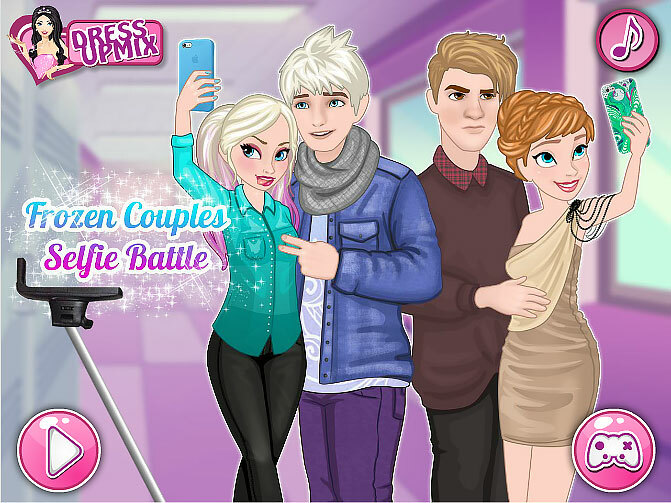 In this game you will try to do a selfie for the Disney princesses. Use the mouse to choose the outfits for the most beautiful princesses and their princes choosing the right buttons and items. Choose hairstyles, dresses and shoes, to obtain an estimate of each pair and see which one is better. Played: 79695. Added: 29-04-2016, 17:06.